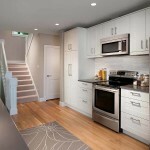 Who is the Best Reno Company in North Vancouver? You bought a “fixer upper” and now you need help to make it your dream home or you have been living in your home so long, people feel like they’re going back in time when they come over (and not in a good way). Whether you’ve got your vision all figured out, or you just have an idea of what it might be—count on us to make it happen! 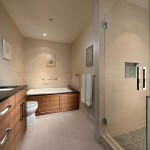 We will work with you to get clear on what you want in your home renovation and what it will take to get there. 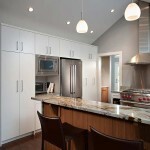 A kitchen renovation can be a huge undertaking. And considering that much of peoples’ lives revolve around this space, we get that you want the reno to be as quick and painless as possible. Our experienced project managers are committed to getting you from A to B as comfortably as we can by being clear about what’s involved. 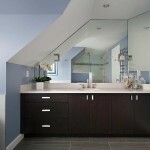 We are one-stop bathroom renovation specialists! We handle everything for you in one go. We will discuss your needs, identify proven solutions and potential challenges, and plan your bathroom renovation within your budget. From start to finish, building a custom home can be a daunting process. We have the experience, skills and connections to get you through it and help you make your vision a reality. Not only are we in the business of renovating individual homes, but we also have the resources and expertise to embark on total residential building renovations. If you own a building that needs an overhaul, we can handle it all. We don’t just build new things! We also have a team of people who can fix what’s already there- often saving time and money. Show us what your needs are, and we’ll show you what we can do. Whether it’s a whole home or building renovation, a custom home build, kitchen or bathroom overhaul, or repair services in North or West Vancouver, contact us at Shakespeare Homes for a consultation. 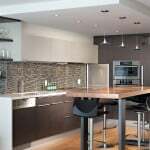 We’d love to show you what award-winning service looks like and prove to you that we are the best reno company in Vancouver.